Citizens’ Planning Academy is a program that educates participants about the importance of land-use planning and its relationship to economic development, the environment, and quality-of-life issues in our community. Community leaders and experts speak on topics ranging from our sewer systems and green space to zoning and housing affordability. 2019 Citizens’ Planning Academy applications will be available in Summer 2019. Thank you to our Citizens’ Planning Academy sponsors! Jim Duncan is the Director of Planning for the Lexington-Fayette Urban County Government. Jim was previously the Manager of Long-Range Planning for LFUCG where he oversaw the development of comprehensive and small area plans. In addition, Jim was the transportation planner for the city of Dothan, Alabama and the affordable housing planner for the city of Santa Fe, New Mexico. 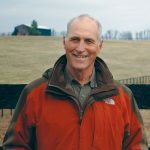 Jim is a graduate of Woodford County High School and the University of Kentucky with a Master of Public Administration and a Bachelor of Science in Agricultural Economics. Dr. Eunice Beatty is a retired college professor of Bluegrass Community and Technical College, and the University of Kentucky. During her thirty-year career in higher education, she served as BCTC’s Dean of Academic Affairs; Kentucky Community College System’s Special Assistant to the Vice Chancellor; and Division Chairperson of Health Sciences in the University of Kentucky-Community College System. She has also served as an Accreditation Evaluator for the Southern Association for Colleges and Schools. 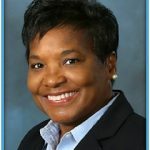 Dr. Beatty holds three earned degrees from the University of Kentucky: a Doctorate degree in Educational Psychology and Counseling, with a minor in Marriage and Family Science, a Master degree in Education (concentration- Curriculum and Instruction), and a Bachelor of Health Science degree in Dental Hygiene. She is currently a National Certified Family Life Educator. Dr. Beatty is a national W.K. 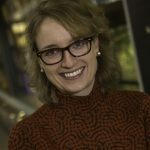 Kellogg Fellow, a recipient of The National Master Teacher Award, and she is listed in Who’s-Who Among America’s Teachers. Dr. Beatty has served on numerous boards and committees throughout the Lexington community. She is distinguished with various awards and honors for her civic, community, professional, and faith-based contributions. These accolades include: Achievement Awards, Leadership Awards, Service Awards, Philanthropic Awards, and Humanitarian Awards. Don Robinson Don Robinson is Chairman of the Fayette Alliance board and was one of four founding board members of Fayette Alliance in 2006. He was born and raised in Lexington and has been the owner and manager of Winter Quarter Farm since 1977 when he took over for his father, who purchased the farm in 1948. Winter Quarter Farm is best known for multiple-time Eclipse champion and 2010 Horse of the Year, Zenyatta. Don is a former chairman of the LFUCG Planning Commission, known for making the motion to change minimum lot acreage from 10 to 40 acres in agricultural areas, and 2013 recipient of Bluegrass Tomorrow’s Josephine Abercrombie Vision Award. Don is currently serving his third term on the LFUCG Rural Land Management Board where he serves as treasurer. Knox van Nagell, J.D. 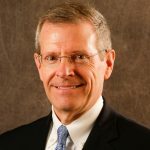 Knox van Nagell is General Counsel of Mt. Brilliant Farm in Lexington, Ky. Prior to Mt. 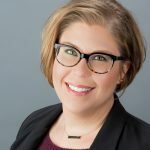 Brilliant, Knox was Senior Director of Philanthropy at UK Healthcare after leaving her position as the founding Executive Director of Fayette Alliance, where she advanced more than 100 smart growth policies in her 10 years of service. Knox was born and raised in Lexington, Ky. She attended the University of the South at Sewanee where she received a degree in American History, and while there, studied at Oxford University completing its British Studies program. She then returned to Lexington to get her law degree at the University of Kentucky College of Law. In 2008 she was named a Lexington Young Professional Association Rising Star and in 2013 she received the Vision Award from Bluegrass Tomorrow. She currently sits on the Sayre School Board of Trustees as well as the Fayette Alliance Board of Directors. Traci L. Wade, AICP, is the Planning Manager in Lexington, Ky. for the Planning Services section of the Division of Planning. She has 17 years’ experience as an urban planner in both the public sector and as a consultant in the private sector. Traci is well-versed in the local development review process, with specific emphasis on the re-zoning process. 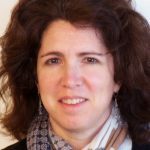 She has worked with the Planning Commission for over 12 years, providing professional guidance during public hearings, and coordinating hundreds of zone change and text amendment applications as a Senior Planner. Traci received her Master of Urban Planning degree in 2000 from the University of Illinois at Champaign-Urban, which is consistently ranked as a top 10 graduate program in the nation. She focused her studies on community development and land management planning. Traci is a native of Lincoln, Nebraska and attended the University of Nebraska-Lincoln, graduating with a Bachelor of Arts with Distinction prior to graduate school. Chris is the Manager of Long-Range Planning for the City of Lexington and a certified planner through the American Institute of Certified Planners. He graduated with a Master’s Degree in Urban & Regional Planning from Florida State University with a concentration in growth management. Lexington is a growing city, and with that growth comes many opportunities and challenges. Chris is currently leading the city’s latest Comprehensive Plan, Imagine Lexington, which strives to be the most inclusive and accessible plan to date. With the input of over 11,000 citizens thus far, public input and education are at the heart of the effort that will be completed in 2018. Charlie Martin has been the Director for the Division of Water Quality since February 2002. Since moving to Lexington in 1999, he has also held the positions of Collection System Manager and Deputy Director for the division along with three separate temporary assignments as Lexington’s Commissioner of Environmental Quality and Public Works. Mr. Martin has nearly 35 years of water and wastewater experience at the state and local levels. A native Ohioan, Charlie is a graduate of the University of Michigan with a B.S. in Civil Engineering; is a licensed Professional Engineer in both Ohio and Kentucky. 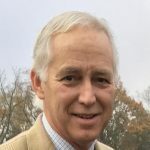 Stan Harvey is a Lord, Aeck & Sargent (LAS) principal in the firm’s Urban Design & Planning practice area and director of the Lexington, Kentucky office. 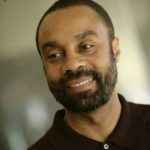 In 1997, following three years of heavy involvement with pre-Olympic urban redevelopment for the Corporation for Olympic Development in Atlanta (CODA), Harvey co-founded Urban Collage, which in 2013 became a practice area of LAS through a joining of the two firms. Many of Harvey’s plans have earned awards from organizations such as the U.S. Green Building Council, theAmerican Society of Landscape Architects (ASLA) as well as ASLA’s Kentucky chapter, and the Georgia and Kentucky chapters of the American Planning Association (APA). In addition, he is a recipient of the Jack F. Glatting Mentoring Award from the Georgia Institute of Technology. Harvey is currently a member of the APA’s Kentucky chapter, where he was the treasurer (2008 – 2014); Fayette Alliance, where he serves on the board; the American Institute of Certified Planners; the American Planning Association; Urban Land Institute – Kentucky District Council; and Downtown Lexington Corporation. Before moving in 2006 from Atlanta to his hometown Lexington to establish the Urban Collage office there, he was a member of the APA’s Georgia chapter, and served for two years as its vice president of chapter services; The Carter Center, where he served on the board of councilors; and Central Atlanta Progress. Harvey earned his master’s degrees in city planning and in architecture, both degrees from the Georgia Institute of Technology. His bachelor’s degree in architecture was awarded by the University of Michigan. Brandi Peacher is the Director of Project Management in the Office of the Mayor with the City of Lexington, Kentucky. Peacher attended the University of Kentucky, where she obtained a master’s degree in architecture. Her design and development career has given her the opportunity to work on a variety of commercial, residential, and public projects in Chicago, Dubai, and Lexington. 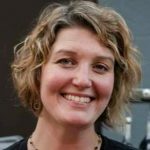 Previously, she was Project Manager at the Lexington Downtown Development Authority, and a Design Specialist for the Division of Planning. Today, Peacher oversees the group of publicly funded projects under the Town Branch Commons umbrella. This signature project will follow the historic path of Town Branch, Lexington’s original water source, link downtown parks into a cohesive system, incorporate green infrastructure to improve water quality, and provide an enhanced multi-modal transportation network. Peacher’s primary focus is implementing the downtown portion of Town Branch Trail, a publicly funded 2-mile walking, jogging, and cycling trail running through the Commons, providing the missing link to 22 miles of continuous trails weaving throughout our iconic Bluegrass countryside. Susan is a professional engineer with 30 years of experience in water resources, stormwater management, and public administration. She graduated from the University of Kentucky with a Master’s Degree in agricultural engineering and has worked in both the private and public sectors, starting in Bellevue, Washington, then in Charlotte, North Carolina and now in her hometown of Lexington. She served for 5 years as the city’s MS4 Permit Coordinator, focused on meeting the EPA Consent Decree and MS4 permitting requirements as well as broader watershed planning issues. Since 2014 she has served as the Director of the Division of Environmental Services, overseeing a wide variety of responsibilities, including the urban forestry program, civic beautification, environmental education and outreach, greenways, litter reduction, environmental enforcement, internal compliance, and energy initiatives. Amy Sohner is the Executive Director of Bluegrass Greensource, a nonprofit environmental education organization serving Central Kentucky. She has been with the organization since its inception, and became director in 2006. She has a background in environmental education, and a degree in Natural Resource Conservation and Management from UK. 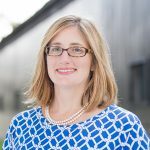 Amy is a Certified Environmental Educator, a graduate of the Leadership Lexington Program, and a board member of: Bluegrass Tomorrow, Women Leading Kentucky, America in Bloom and the chair of the Keep Lexington Beautiful Commission. Her hobbies used to include camping, hiking, making stained glass, and viewing the Kentucky River palisades from her deck, but now you will usually find her running after her two daughters: Audrey, 11, and Eleanor, 5. Scott is a native of Louisville and came to Lexington in 1997 to pursue a degree from the University of Kentucky in Landscape Architecture. Since graduating in 2001, Scott worked in the public a private sector as a Designer, Project manager, and Resident inspector for projects ranging from residential site design; park designing and master planning; storm and waste water management; trails, roads and highway design and planning; and community design and planning. Scott has always had an interest in public health and how the built environment is directly tied to daily physical activity. 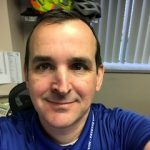 Scott is currently employed as a Senior Transportation Planner, Bike and Pedestrian Coordinator for the Lexington Fayette Urban County Government and the Lexington Area MPO. Current work involves working to increase bicycle and pedestrian transportation system access, developing safe, high quality, interconnected facilities for bicycling and walking and promoting the increase of their use. 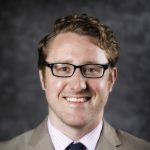 Matt Ruther is a faculty member in the Department of Urban and Public Affairs at the University of Louisville and the Director of the Kentucky State Data Center. He received his PhD in Demography from the University of Pennsylvania in 2012. Prior to starting at Louisville, Dr. Ruther was a postdoctoral associate in the Geography Department at the University of Colorado Boulder. His research interests are in small area population estimation and neighborhood growth and change. Tom Eblen is the metro/state columnist for the Lexington Herald-Leader and Kentucky.com. He writes several times a week about a variety of topics. Eblen, 59, was the Herald-Leader’s managing editor from 1998 to 2008. 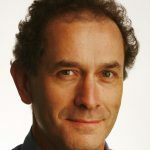 He returned to his hometown in 1998 after 14 years with The Atlanta Journal-Constitution, where he was a regional and national writer and a business reporter and editor. Before that, he worked for The Associated Press in Louisville, Nashville and as correspondent in charge of the Knoxville bureau. He has won many awards for his writing, including the 2013 media award in the Kentucky Governor’s Awards in the Arts. He was inducted into the Kentucky Journalism Hall of Fame in 2016. 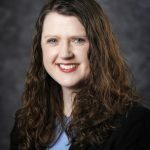 Eblen, a graduate of Western Kentucky University, is president of the Bluegrass Professional Chapter of the Society of Professional Journalists. He formerly served on the national board of Associated Press Media Editors. 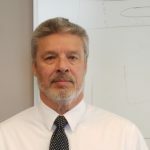 Edward J. Holmes is a certified planner with over 40 years of experience focusing on incorporating sustainable planning strategies into redevelopment, master planning, environmental justice, and land use plans. As an urban planner and Principal with EHI Consultants since 1995, Ed has successfully created sustainable development planning frameworks that have created benchmark plans for environmentally responsible and sustainable neighborhoods. EHI and Ed have direct experience with numerous public and private-sector projects throughout Kentucky and the Southeastern United States. EHI and Ed have been recognized by the KAPA and ASLA planning professions for their planning efforts in neighborhood planning, environmental justice and farmland preservation. EHI was recognized in 2011 by the Kentucky Small Business Development Agency as one of its Pacesetter Business award winners and in 2017 EHI was selected by Goldman Sachs to participate as one of its 10,000 businesses recipients. Mr. Holmes received his Bachelor of Arts in Urban Planning and Design from the University of Cincinnati. 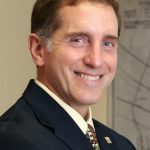 He has authored several planning related documents and articles and is a member of the American Planning Association, American Institute of Certified Planners, and the Kentucky Chapter of the American Planning Association. He serves on the Campbellsville University Board of Trustees, Fifth Third Bank Advisory Board, and the Commerce Lexington Industrial Foundation. Libby joined Bayer Properties in 2005, bringing with her more than 20 years of retail leasing and management experience. She currently oversees leasing, development, and construction for Bayer Properties. Before joining Bayer, she was associated with General Growth Properties, Inc. in Chicago as Senior Vice President for Retail Redevelopment. 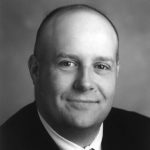 Todd Johnson is the Executive Vice-President of the Building Industry Association of Central Kentucky (formerly the Home Builders Association of Lexington), and has been in this position since July of 2002. As the EVP, Todd is responsible for the day to day operation and management of the Association and also focuses on Government and Public Relations on behalf of the organization. In addition to his duties at the BIA, Todd serves as an active member of the Commerce Lexington Public Policy Committee, the REACH Board of Directors, the Realtor Community Housing Foundation Board of Directors, the Board of Directors for the High Street YMCA and serves in an advisory position on both the BIA Cares Charity and Building Institute of Central Kentucky’s Educational Foundation. Prior to his employment with the Home Builders, Todd worked 11 years with the National Rifle Association. While with the NRA, Todd served as the Assistant Director of NRA’s Membership Division in Fairfax VA. In 1998, he moved Owensboro Kentucky where he served as the NRA State Director for Kentucky and Tennessee. Mary has been working in the Aging network for over three decades as an advocate for and with seniors. She strayed at the Area Agency on Aging as a case manager, then oversaw adult day and wellness programs. Currently she is assistant director. She serves as co-chair on the Mayors Commission for Senior Services where the Age Friendly Lexington movement began. 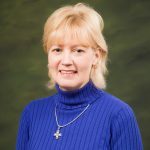 Holly Wiedemann is the founder, owner and President of AU Associates, Inc. AU was founded in 1990 on the principles of adaptive use and focuses on opportunities for urban infill as well as the revitalization of existing structures. Holly’s firm, AU Associates, has been directly responsible for creating over 600 units of mixed income housing, 200,000 square feet of commercial space and over $166 million of projects across the Commonwealth of Kentucky and West Virginia. AU is also the development agent for the historic Fayette County Courthouse. AU’s projects have received more than 45 local, state and national awards, including an unprecedented four Timmie Awards for historic preservation and three Ida Lee Willis awards. Holly received the 2010 AIA Citizens Laureate Award. She was inducted into the JA Business Hall of Fame in 2016 and is the recipient of the 2017 Blue Grass Trust John Wesley Hunt award for lifetime service to preservation. AU Associates was just awarded the 2018 NAWBO EPIC Thrive Business of the Year Award. communities and vibrant economies. Dr. Davis leads a team of fourteen engagement and research staff to support for CEDIK’s five priority areas: economic development, leadership development, community health, community design, and arts engagement. Dr. Davis’ role is to build relationships across campus, Kentucky and the South with the goal of promoting a stronger sense of community and an improved economic base in rural areas. Her economic development program utilizes workshops, trainings, and educational materials to highlight the importance of community engagement, land use planning, infrastructure development, regionalism, and the impact of changing public policy on communities. Anthony has been an Account Executive with Harshaw Trane, a franchise of Ingersoll Rand & Trane, since June 2011. There he works in Energy Services and assists public agencies to modernize their public infrastructure and improve their energy efficiency through Energy Savings Performance Contracting. Prior to joining Harshaw Trane, Anthony was appointed Lexington-Fayette Urban County Government (LFUCG) Director of the Mayor’s Office of Economic Development August of 2007 and served in Mayor Newberry’s Administration until December 2010. He was the local government representative in the Bluegrass Business Development Partnership with Commerce Lexington and the University of Kentucky. Being passionate about minority business development, he worked to create the Minority Business Enterprise Liaison position within LFUCG and also served as chair of the Lexington Bluegrass Area Minority Business Expo Committee for 5 years. Some of the initiatives Anthony served while in the Mayor’s Office include: The Stimulus Commission, Affordable Housing Trust Fund Commission and Task Force, The Mortgage Lending Commission, participated in the Housing Study, The East End, Central Sector, & South Nicholasville Road Small Area Plans, Court House Area Design Review Board, Economic Development Task Force and the Equine Development Task Force. Prior to his appointment to the Mayor’s Office, he was Community Development Advisor with the Kentucky League of Cites, where he served for 4 and half years. At KLC, Anthony has worked with cities of all sizes across Kentucky in the areas of Information Technology, Finance and Municipal Bonding, Affordable and Public Housing and Community Development. He also served as KLC Liaison for the Kentucky Black Caucus of Local Elected Officials and has experienced working with many state and local legislators. He has also participated in Community Visioning with the NewCities Institute. He has been involved with economic development since 1995 and has worked on numerous projects ranging from the recruitment and relocation of large companies to those of entrepreneurial start-ups. He sees the creative industries as an excellent way to add to the quality of life in a community and to help diversify the local economy through the growth of entrepreneurial businesses. Anthony has a B.S.E. in Mechanical Engineering from the University of Michigan. He completed course work for his international certification in economic development (CEcD) from the Oklahoma University Economic Development Institute in 2009. 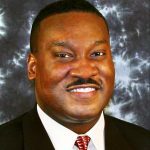 He is a board member for the Fayette Alliance, the Minority Business Expo and the Lexington Affordable Housing Trust Fund. He is a member of the Red-Carpet Committee of the Kentucky Pro-Football Hall of Fame, the Kentucky Association for Economic Development, and was selected as one of 44 Kentucky Young Leaders for a New Century in 1999. He received a Rising Star award from the Lexington Young Professional Association in 2008 and is a 1998 graduate of Leadership Lexington, where he was the first recipient of the Distinguished Leadership Award. 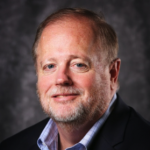 Kevin Atkins, Chief Development Officer for the City of Lexington, Kentucky, has more than 30 years of experience in all aspects of political governmental affairs, and local government administration. After graduating with a bachelor’s degree in Public Administration from Austin Peay State University in Clarksville, Tennessee, Atkins started his career as an aide to the Mayor of his hometown Hopkinsville, Kentucky working on a variety of projects and topics throughout city government including economic development. Atkins next joined the staff of United States Senator Mitch McConnell where he served as Field Representative leading the Senator’s offices in South Central Kentucky (Bowling Green) and the Bluegrass (Lexington) for more than 22 years where he worked with local business and governmental leaders as well as community organizations and other community leaders. In 2011, Atkins joined the City of Lexington as Chief Development Officer where he manages Economic Development programs for the city as well as overseeing state and federal relations for the government. Atkins serves as chair of the Economic Development Investment Board for Lexington. Atkins currently serves on the Board and Executive Board of Commerce Lexington (Greater Lexington Chamber of Commerce), Downtown Lexington Partnership, High Street YMCA, World Trade Center Kentucky, and the International Economic Development Council Public Policy Committee. He is past Board Chair of Opportunity for Work and Learning as well as past Board President of Prevent Child Abuse Kentucky. Member of the International Economic Development Council. Mike Owens is a long-time farm manager of the 82-acre Cobra Farm. Prior to this role, Owens owned and operated Cornerstone Stable, a commercial Thoroughbred boarding and sales facility. His breeding and live foal conception rates are held to the highest standards at 95 plus percent, and more importantly, a foal conception rate of 1.3 covers per mare. Since January 1993 he has operated as a Bloodstock Consultant for clients making suggestions on breeding and sales. From 1972 to 1993 he was employed by Equifax Services in Lexington, Ky. doing insurance-related investigations. He has been on the Planning Commission since July 2008. He was Chairman from 2012-2016 before he was reappointed Sept. 2016 for a 4 year term. He also sits on the Dean’s Advisory Board at the University of Kentucky College of Agriculture’s Equine Initiative. He was a Board of Adjustment Member at the Lexington Fayette County Urban Government from July 2005 to July 2008. In 2008 he was named Farm Manager of the Year by the Kentucky Thoroughbred Farm Manager’s Club. 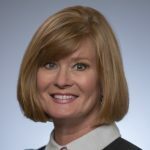 Mary Quinn K. Ramer is President of VisitLEX, where she oversees all administrative, marketing and convention activities for the organization. 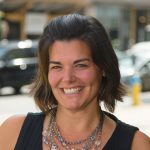 Mary Quinn brings more than 15 years of tourism, marketing communications, and event planning experience to the organization. 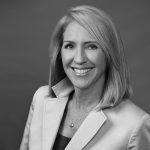 Prior to becoming President, Mary Quinn spent seven years as the Vice President of Marketing at VisitLEX. 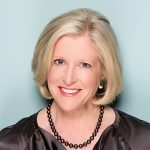 During her tenure, she has overseen a successful rebranding effort and launch of the iconic blue horse brand, coordinated all Bureau activities for two international equine events, launched an original culinary tourism initiative and opened a brand new visitor center in the heart of downtown Lexington. In addition, Mary Quinn is active with numerous tourism-related organizations, including board membership on Kentucky Travel Industry Association, Equestrian Events International, Keeneland Concours d’Elegance, LexArts, Horse Country LLC, and the McDowell House Museum. She was also a member of the Breeders’ Cup 2015 Host Committee. Mary Quinn has been fortunate to be involved in many award-winning projects over the years. She is most proud of receiving the Public Relations Society of America’s top honor, the Silver Anvil, in 2001, for her work on the 2000 Vice Presidential Debate at Centre College, and the Kentucky Industry Associations’ Best of Show award for marketing collateral in 2012. In 2015, Mary Quinn received the Lois Mateus Networking Award from the Kentucky Distillers Association and the Bourbon Women organization. Mary Quinn is a Phi Beta Kappa graduate of Centre College, and in 2008, she received the Distinguished Young Alumna Award from the College. George Ward is the Executive Director of the University of Kentucky’s Coldstream Research Campus and the high-tech business incubator on UK’s main campus. In this role, George has worked with many faculty and student entrepreneurs providing business guidance as they develop their products and companies. He also interacts regularly with state and local economic development professionals and real estate developers to assist as needed in attracting established companies and jobs to Central Kentucky. In addition to his economic development activities, George oversees UK’s Real Estate Services office and is an adjunct professor in the Retailing Tourism Management department teaching a course titled Entrepreneurship in the Hospitality Industry. Most of George’s career was spent in the hospitality industry where he served 18 years as president of H&amp;W Management Company, a Lexington based hotel development and management company that he co-founded in 1985. 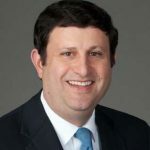 He believes that much of his career success is due to the entrepreneurial philosophies he has practiced whether in his own company, mentoring others, or during the 4 years he spent in state government and his 8 years at UK.